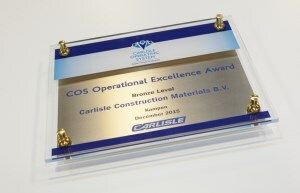 COS AWARD FOR CARLISLE CONSTRUCTION MATERIALS B.V. 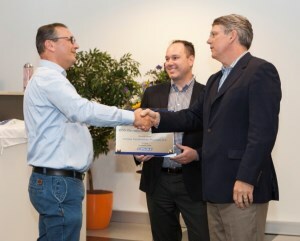 PRESTIGIOUS COS AWARD FOR CARLISLE CONSTRUCTION MATERIALS B.V.
On 23 May 2016, Carlisle® Construction Materials B.V. was personally awarded the bronze Carlisle Operating Systems (COS) Award by the President CEO Chris Koch and Vice President COS Doug Taylor from our American parent company, Carlisle® Companies Inc. This prestigious recognition is the result of a continual process in which Carlisle® Construction Materials B.V. is engaged on a daily basis with improving and optimising their products and manufacturing processes. Over the last 3 years, we have been working very hard innovating and restructuring our existing processes. We have realised considerable improvements in the efficiency of our processes, and also in the areas of reducing waste, saving energy and safety, while at the same time realising a greater involvement as a team. What is the Carlisle Operating System? 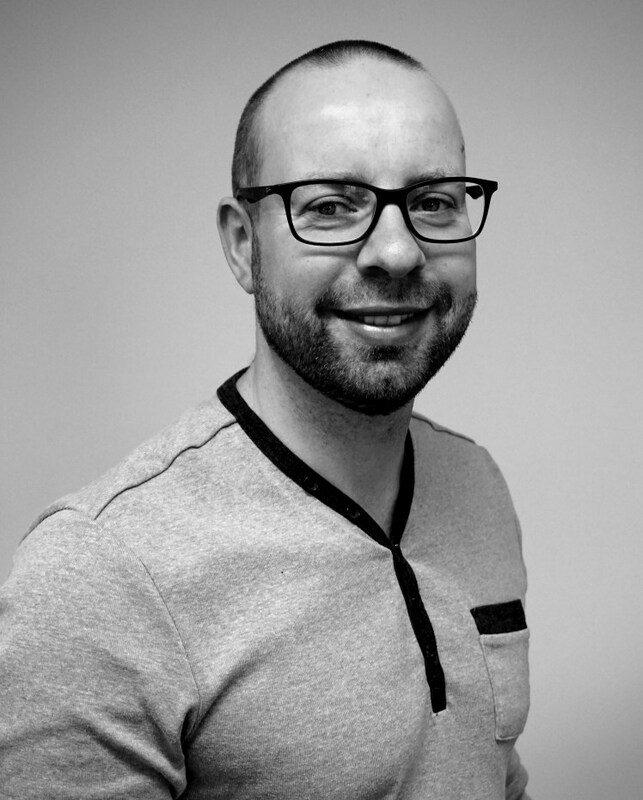 The Carlisle Operating System is a Lean Business management program that has been launched worldwide to continuously optimise all internal processes. 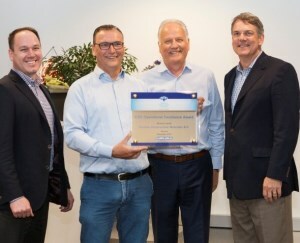 The results are achieved by employees working together in a creative manner to maximise performance, eliminate waste and downtime and innovate products. By doing this, we endeavour to create an exceptional and unique value for our clients, shareholders and stakeholders.